Malaysia, looks like two countries in one: Peninsula Malaysia and East Malaysia, separated by the South China Sea. 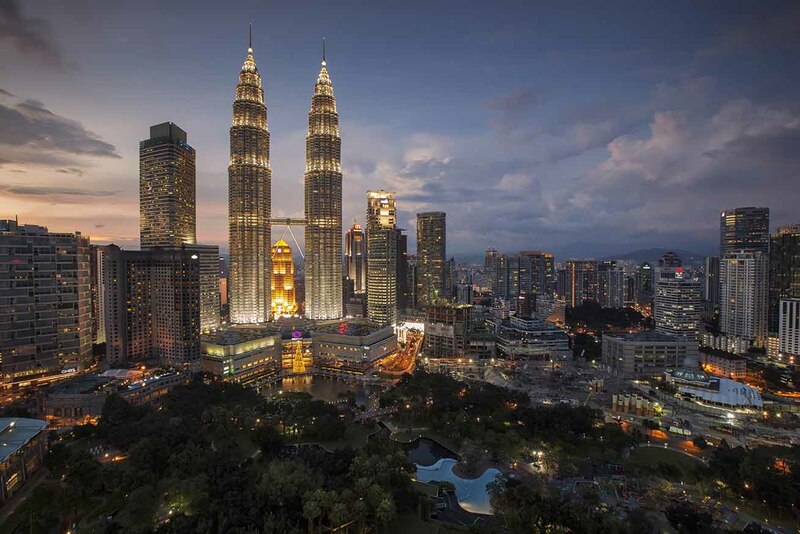 Malaysia is a constitutional monarchy situated in Southeast Asia, with 13 states and 3 federal territories and has a total landmass of 329,847 square kilometres. Malaysia is a beautiful stark landscape of modernity and greenness. The peninsular covered with spectacular islands, glorious architecture, colonial buildings and abundance of religious buildings, while East Malaysia is hilly and forested, ranging from Tropicana rainforest to soaring mountains and mystical caves. As a multi-racial country, Malaysia has a population of 31 million, where Malay as the largest ethnic group that make up more than 50% of the population, Chinese is around 23%, Indian is 7% and the remaining 12% is comprised of indigenous groups. Malaysia ranks number 44 in the list of the most populous country of the world. Bahasa Malaysia is the national language and is widely spoken by all races in the country, and Islam is the official religion. Malaysia strategically located on the earth’s equator, completely free from major natural disasters like earthquakes, typhoons, etc. Besides, Malaysia’s climate is categorised as equatorial, which makes Malaysia a paradise for tourists to experience tropical weather all-year-round with average temperature between 21°c and 32°c. The moist and humid weather, Malaysia makes an excellent habitat for flora and fauna. Undeniably, Malaysia is a land that is rich in natural resources. Malaysia is a multiracial country, a melting pot of different cultures. The diverse races of Malays, Chinese, Indians and other indigenous tribes live together in a peaceful and harmonious atmosphere. Due to British colonization beginning from the 18C till independence in 1957, the 3 major races were brought into Malaysia. The indigenous tribes are the first inhabitants of Malaysia before the 3 races immigrated to Malaysia. Malays are the majority race in Malaysia and they are Muslims. Chinese, on the other hand, is the second largest ethnic group. Chinese are predominately Buddhists and Taoists and some of them are Christians. Majority of Indian practice Hinduism and only small percentage of them are Muslims and Christians. 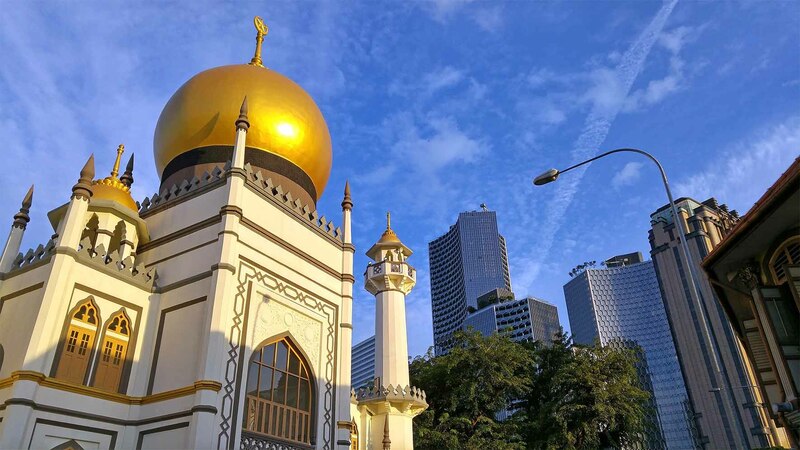 Different types of religion in Malaysia reflect the variety of cultural practices. Malaysia is a country that embraces modernity while retaining its traditional culture. Due to its rich cultural diversity, Malaysians can enjoy a fascinating spectrum of languages, foods, festivals, traditional costumes, customs and cultural performances. The population speaks multiple languages such as Bahasa Malaysia, Mandarin, Tamil and also other minor ethnic languages by the indigenous people. Malaysians are usually bilingual or multilingual as a result of a complex linguistic and cultural background together with the need for a national language, Bahasa Malaysia for cross-cultural communication. Despite Bahasa Malaysia being the national language, Mandarin is the first language of Chinese. Also, Hokkien, Cantonese and Hakka are the dominant dialects speak among the Chinese community. Indians in Malaysia mainly speak Tamil, Telugu or Malayalam. Due to British colonization, English has been widely spoken by Malaysians and is considered a second language. However, many Malaysian speaks their own version of English called Manglish, Malaysian English. It is a truly unique culture in Malaysia, due to the interference of various languages and dialects. The bond between Malaysian foods and Malaysian culture are impossible to disentangle. Malaysian foods are usually hot, spicy, combining the rich aromatics of exotic spices and herbs. Rice and noodles are the staple foods in Malaysia. Malaysian foods consist of Malay, Chinese and Indian cooking style to reflect the complex cultural background of Malaysia. Malay: Malay food usually consists of coconut milk, curry and dried chilies. Nasi Lemak, fragrant rice served with spicy anchovy sauce, egg, cucumber and crushed peanut is the typical Malay food. Nasi Lemak is known as the national food and it is an all-day dish. Rendang is another popular Malay dish, which normally cooks with beef, chicken and fish. Lontong, Satay and various sweet and savory kuih-muih are also originated from the Malays. Even all these are traditional foods for Malay people, but they are loved by all the Malaysians. Chinese: Most of the Chinese cuisines are originated from Southern China, but adapted to cater Malaysian taste. So, most of the Chinese cuisines in Malaysia have adapted a distinctly Malaysian style and cannot be found in China. Pork and chicken are the main ingredients in Chinese food. For example, Bak Kut Teh, Hainan Chicken Rice, Dim Sum, Hokkien Mee and Char Kway Teow are the most popular dishes among the community. Due to the influence of diverse food culture in Malaysia, most of the Chinese foods are served with sambal belacan. Indian: Indian foods are mostly of South Indian flavors with main ingredients like chili, curry leaves, ghee and spices. Today’s Indian food has been assimilated with the local culture, so the most widespread local Indian stalls in Malaysia are Mamak. Mamak is a culinary combination of Indian and Muslim. Thus, Roti Canai, Roti Naan, Mamak Mee Goreng, Banana Leaf Rice as well as Teh Tarik are the authentic Malaysian Indian dishes that can be found all over the country. All in all, Malaysian food is a mix of culinary cultures. The great fusion of each cuisine expresses Malaysia’s cultures as well as traditions. Malay: Hari Raya Aidilfitri is the most prominent festivals celebrated by the Muslim community after the Ramadhan. Ramadhan is a fasting period where all the Muslims have to fast for a month. This is the season where the Muslim asks for forgiveness from their friends and family members. Muslims will also celebrate Hari Raya Haji to honour those who have completed the annual pilgrimage to Mecca. Chinese: Chinese New Year is celebrated by Chinese and it will last for 15 days. Chinese New Year is the season where all the family members reunite and ang pau will be given to the young generations as a form of blessing. The celebration begins with a reunion dinner and Chap Goh Mei marks the end of the festival. Red colour and mandarin oranges symbolise prosperity and luck. Indian: For the Hindus, they celebrate Deepavali and Thaipusam. Deepavali or Festival of Lights celebrates the triumph of good over evil and light over darkness. So, Hindus will decorate their house with lights and oil lamps throughout the festival in order to attract Lakshmi, the goddess of prosperity. Besides, Thaipusam is the celebration in honour of the Lord Subramanian. The biggest procession will take place at Batu Caves. Gawai Dayak is the largest religious celebration in Sarawak, which falls on June. During this festival, Iban and Bidayuh will celebrate the harvest season and mark the start of new planting season. Moreover, the Kadazandusun and Murut tribes in Sabah will celebrate Tadau Kaamatan. It is also a harvest festival which falls on June. All of the festivals are widely celebrate by all races in the country in order to show respect for all the religions. Malay: The traditional costume for Malay men is Baju Melayu, a long sleeve shirt which is worn over a pair of trousers and always matches with a sarong, which is wrapped around the waist. A white cap known as Kopiah, is worn during worshiping and a velvet cap called songkok can be worn for any occasions. The Malay women, on the other hand, wear Baju Kurung, a knee-length tunic worn over a long skirt. The materials for the traditional outfit are usually batik and silk. A headscarf known as Tudung is wear to cover the hair. Chinese: The samfoo is the traditional attire wear by men, it is a two piece garment with loose-fitting shirt over a long pants. Besides, the traditional Chinese attire for women is cheongsam, a high collar dress with slits at the side. Cheongsam is usually made of silk and embroidered satin. Indian: Traditional Indian attire for men is kurta, a long knee-length that is typically made from cotton or linen. Sari, a cloth with 5-7 yards long wrapped around the body and the printed end is draped over the left shoulder. A petticoat is worn underneath the sari. The traditional costume for Iban women is Ngepan Iban and for Iban men, they wear baju burung. Sarawak ethnic costumes are usually decorated with colourful beads, traditional jewellery and feathers. Moreover, Kadazandusun women wear a short skirt called sinuangga together with a wrap called tapi. Sinuangga is the short-sleeved blouse and it consists of embroidery at the edge of the sleeves and collar. The traditional attire for Kadazandusun men is gaung and souva. Gaung is a long-sleeved shirt decorated with gold trimmings and buttons. The souva is a pair of long trousers that wears with a waistband called toogot. The Kadazandusun men will wear Siga, a folded or twisted headcover that made of cotton. All of these traditional costumes have their unique way of dressing and they are acceptable at formal occasions as well as traditional festivals. Salam is a traditional greeting which resembles a handshake whereby the Muslim women greet with a nod of her head, whereas Muslim men offers both hands, gently touches the other party’s hands and then brings his hands back to his chest. However, Muslim women are not allowed to shake hands with men. Besides, shoes must be removed before entering the religious buildings like Mosque or an Indian Temple. Next, the right hand is always used for eating, greeting, giving and receiving objects, because of the strong belief that the left hand is used for private purpose like bathing and cleaning. So, it is common for Malays and Indians to eat with their right hands. Malay: Malay dances usually portray the culture of the Malay community. They are separated into 2 forms which are the “original dance” and “adopted dance”. Asli and Inang are categorized under the “original” Malay dances, whereas Joget and Zapin are the “adopted” dances taken from the foreign cultures. Music is the soul of every cultural performance. So, traditional music will associated with the traditional dance or theatre like Mak Yong, Wayang Kulit, etc. For example, Serunai, Pinai, Gendang, Geduk, Gong and Kompang are the major musical instruments used during the cultural performances. Chinese: Malaysian Chinese are well known for their orchestra, opera, dragon dance and lion dance. Most of the Chinese cultural performances are originated from China, with the aim to reflect their cultural characteristics and specialties. Dragon dance and lion dance, for instance, are the most common cultural practices performed during the Chinese New Year. Both auspicious creatures symbolize strength and superiority, so both dances are believed to chase away the bad and bring luck as well as prosperity. Indian: Bharatanatyam is one of the most popular dances that originated from the southern state of Tamil Nadu. This classical Indian dance is a form of poetry or drama which includes numerous transitions, gestures and movements to enhance the overall performance. In short, Malaysia is a country of diverse cultures and traditions. Each and every culture is unique and special. Indeed, Malaysia is a great place to live in where different races respect and learn other races’ traditional practices and cultures. May the warmth of our multiplicity embrace you!